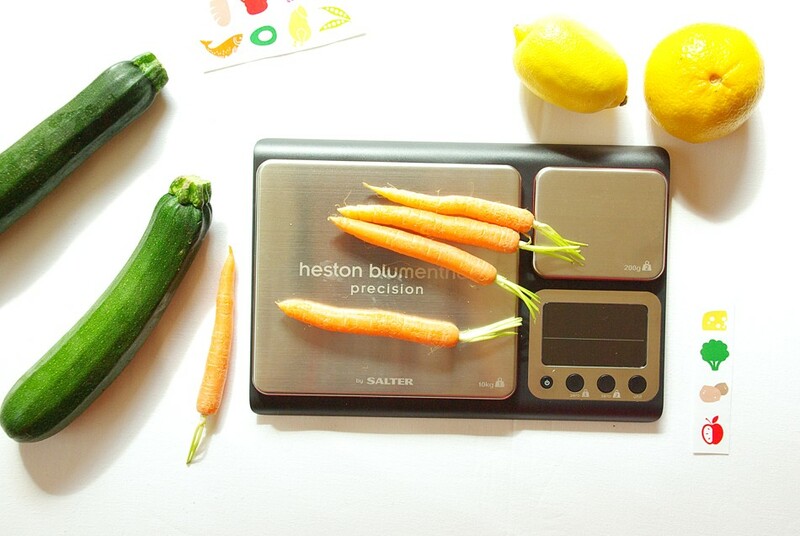 Heston Blumenthal Dual Platform Precision Scale. Tried and tested. And it has to be said: it is my gadget of the month! Heston nailed it. It is top quality. What is more it has a pinch of original futures and a dash of sharp modern design. Chic, sleek and very much practical kitchenware to cook in style. It doesn’t take up more space than my previous Salter. And thanks to two platforms, one large capacity and another high precision, it is best ever for dual action in the kitchen. I love its slim design and large display. 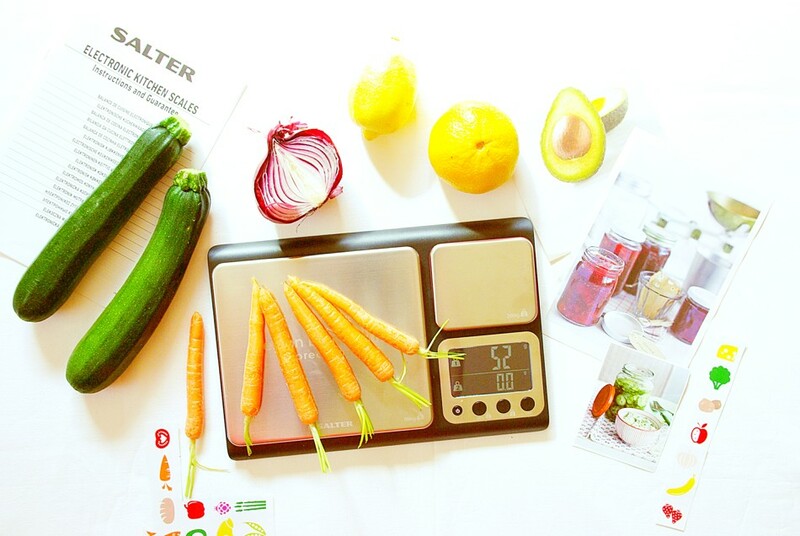 It is the most elegant kitchen scale I have ever seen and owned. Perfection, designed by professional chef for better living, must-have for anyone who loves cooking and baking. Thank you Heston! Thank you Salter! 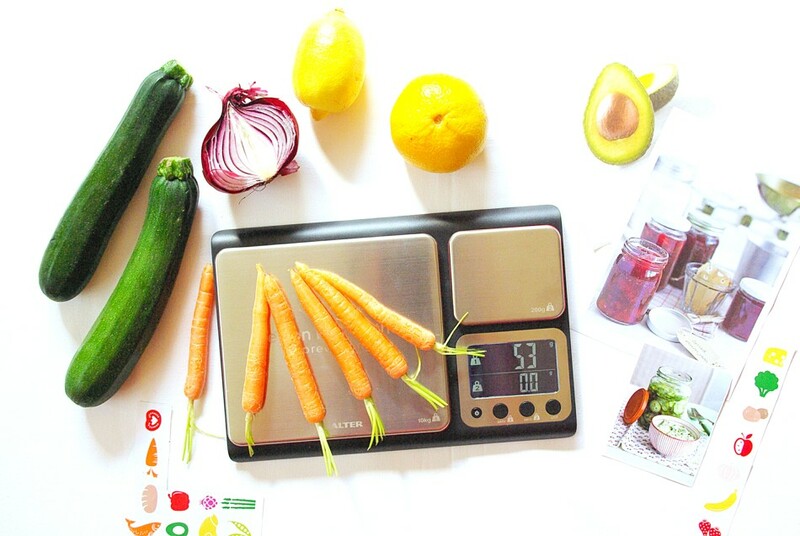 Add & Weigh function, allows for the measurements of multiple ingredients in one bowl. 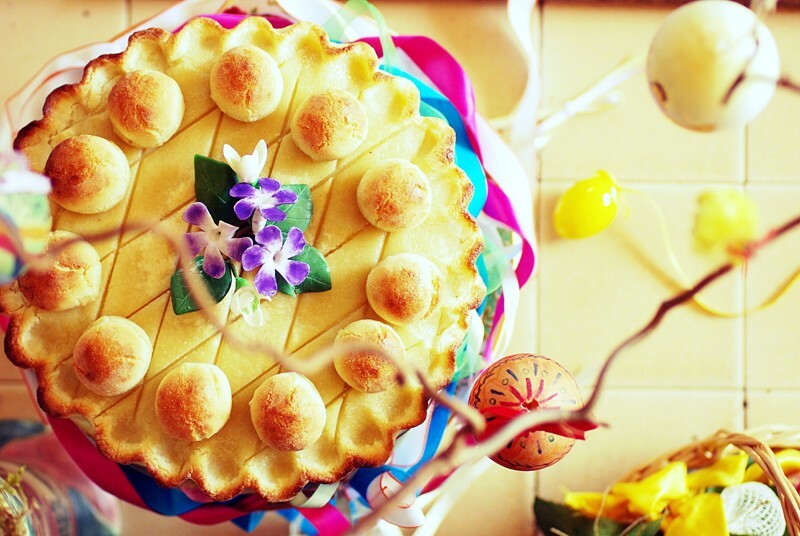 As it was my 1st ever Easter Simnel Cake I had to follow Mary Berry’s recipe… my undisputed queen of cakes! Results?!? Well have a look! …and yes tastes delicious! Preheat the oven to 150C. Grease and line a 20cm cake tin. Place the cherries in a bowl with the butter, sugar, eggs, self-raising flour, sultanas, currants, candied peel, lemon zest and mixed spice and beat well until thoroughly mixed. Pour half the mixture into the prepared tin. In need of a crowd-pleasing lunch recipe? Here is my really simple and delicious lentil and potato salad. Great to serve if you have lots of friends round for a light lunch. And yes, you might think that lentils are not everyone’s favourite but hey, you will be surprised. Lentils give such a nice texture and yummy flavour that everybody will enjoy. Cook baby potatoes in salted water for 10-15 minutes, till soft. Drain well and chill. Then cut into bite size chunks and transfer to a large bowl. Place lentils in a medium-size pan and cook according to package instruction. When soft (but not mushy), drain and add to the bowl with potatoes. Add salt, pepper and half of a chopped spring onions. Make the dressing: in a bowl or jug place all dressing ingredients and mix well. Add 3/4 of a dressing to the salad. Gently mix together and garnish with rest of a spring onions. Serve immediately, adding more dressing if needed. When it comes to quick and nutritious meal, a bowl of soup alongside fresh roll and baguette are the perfect solution. And with just few ingredients you can create truly delicious quick snack, lunch or evening meal. Heat the olive oil in a saucepan, add the onion, garlic, sweet potato and carrots, saute for 6-8 minutes. Pour the stock. Add turmeric, ginger, salt and pepper. Simmer gently until all vegetables are cooked. In a blender or food processor, blend the soup in batches until smooth. Ladle the soup into warm soup bowls, decorate with few chive springs and serve with fresh bread rolls or baguette. Here is my little twist on fried eggs. And it is egg-cellent! Ridiculously tasty! Have those for breakfast, brunch or light supper for 2. Heat lemon infused oil in a medium sized frying pan. Fry aubergine slices for 2-3 minutes on one side than flip over and fry for further 2-3 minutes, till lightly browned. Set aside on a warm plate. Crack eggs into a pan and fry, 2-3 minutes, until whites are set. Season with salt and pepper. If you like your eggs over-easy, flip them partway through cooking once the bottom has set. And now time for a crafty arrangement! Place salad leaves on the toasted bread, then warm aubergine (2 on each slice of bread) and fried egg. Scatter capers and voila! Christmas and of course time for festive cakes and bakes. Panettone bread is one of my favourite and always brings a little bit of indulgence to a Christmas breakfast and afternoon tea. And a homemade is simply scrumptious. Also you will need panettone tin (6 inches) or tall cake tin, greased and lined with baking parchment. In a large bowl of a free-standing mixer fitted with a dough hook place: flour, salt, yest, sugar, eggs and milk. Mix slowly for 5 minutes until you have a soft dough. Then add butted and orange juice and mix for a further 5-6 minutes. Add dried fruits and almonds and mix until all is well incorporated. Transfer dough into well oiled bowl, cover with cling film and keep overnight in a fridge so that the dough has almost doubled in size and firmed up. Remove from fridge and knock back the dough on well floured surface and shape into a ball. Place in a middle of a tin, cover with cling film and leave it to prove in a warm place for 2-3 hours. Brush the top of the panettone with milk. Preheat oven to 175ºC and bake for 20 minutes then reduce temperature to 150º and bake for further 30-40 minutes (test by inserting skewer in the middle). Remove from a tin and leave on a wire rack to cool. Sprinkle top with icing sugar and serve with a butter. Bon appetit and Merry Christmas! Cheese or no cheese?!? That’s the question! Cheese for me of course and you …well it’s for you to decide. Boil potatoes in hot water for 5 minutes and then drain and cool for few minutes. Layer the slices of potatoes in a buttered dish, sprinkling each layer with chives, salt and pepper. Gently beat milk and double cream with the flour until smooth and pour over the potatoes. Sprinkle cheese over the top and bake at 200ºC for 30-40 minutes till brown at the top. When ready sprinkle more chives and serve hot! Weekend is approaching so why not to treat yourself to a nice breakfast. Fried eggs with a little twist. Samphire! ! ! Quite new to me! Somehow exotic! Trust me …simply delicious! And all nicely done in 5-10 minutes! How does it sounds? In a medium size cooking pan boil water. Do not put any salt as samphire is really salty. Boil for 3-4 minutes. Meanwhile melt butter in a frying pan and fry eggs to your liking. Sprinkle with black pepper. Drain samphire and place on bread, followed by a fried egg.